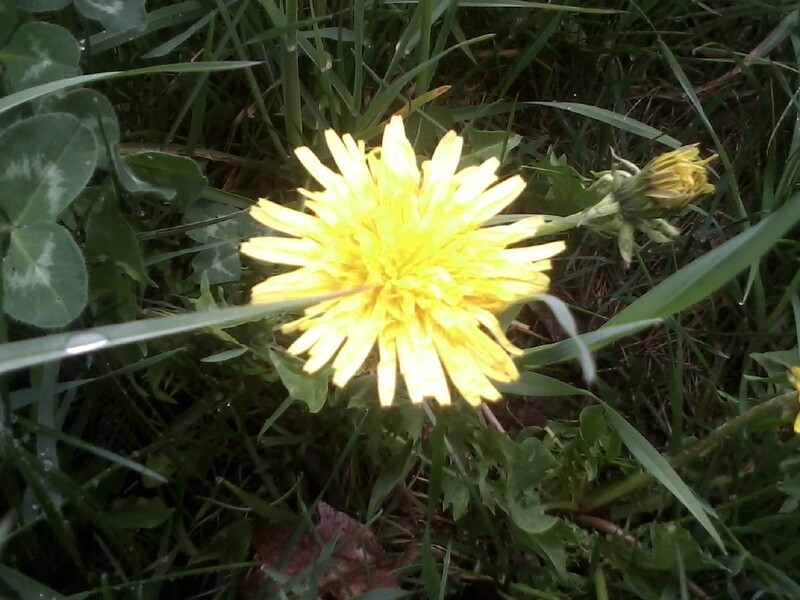 May brings Dandelions and Dandelions bring wine! That’s right, it’s May and that means my chemical free, 10 hrs of sun and plenty of rain with no runoff secret location has been scoped out. 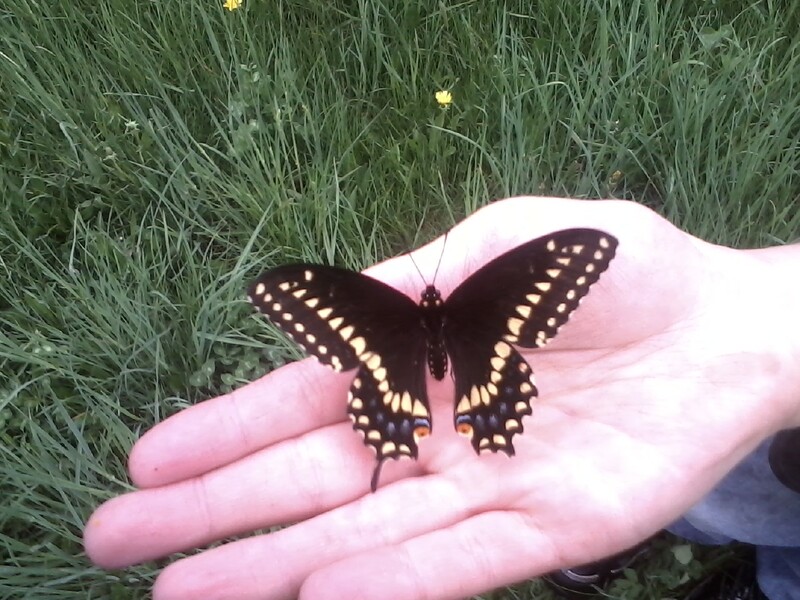 My first attempt last weekend ended with a 2hr search and only 1 lb of dandelions to show for it. 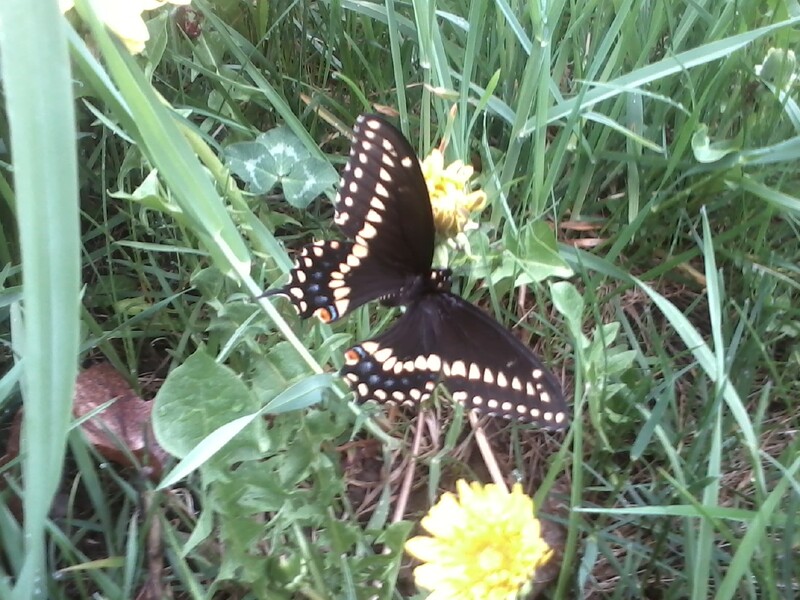 I froze them and kept watch on the Super Secret Dandelion Supply Location throughout the week. Sure enough, Thursday the field went critical. After work I drove straight to the location and proceeded picking. Shortly my assistant brewer appeared (J.) and helped me. 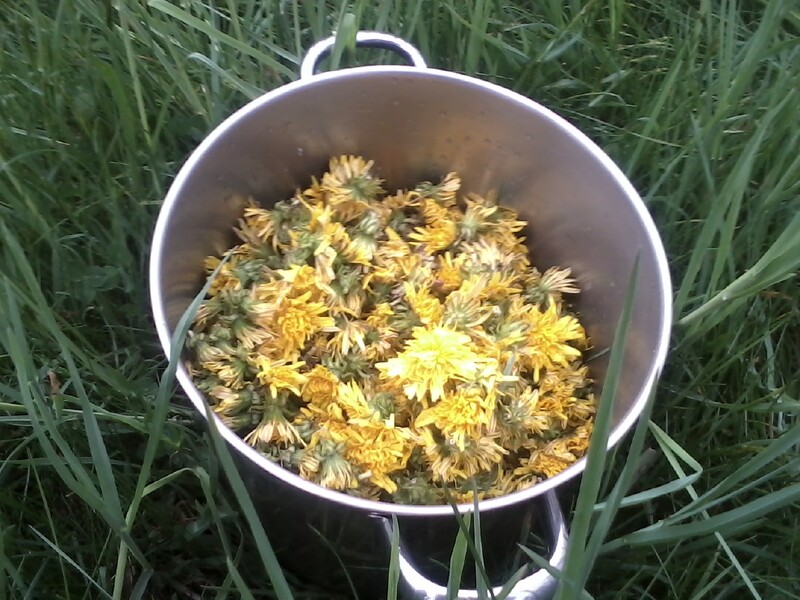 Within 30 min we had the entire 12 qt pot full of dandelions that were each the size of a silver dollar. We actually had to push some of them down. 20 min into the picking and we’re 3/4 full already. Dandelions are finished and we bid our wounded friend goodbye. We ended up with 15 quarts of dandelions.